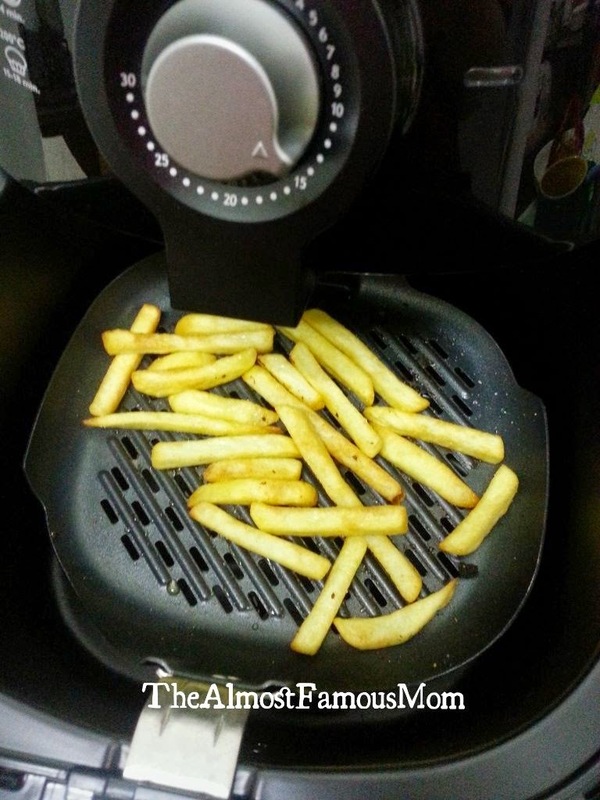 Whipping up a very simple yet flavorful dinner using the Amazing AirFryer. It took around 20 minutes to prepare tonight's yummy dinner, indeed a quick and easy recipe! Cooking (especially frying) has been so much easier with AirFryer and I'm surprised on how easy it is to clean the grill pan as well as the pull-out tray. Clean the salmon steak and pat dry. Rub the salmon all over with the Cajun seasoning and let it marinate for about 10 minutes. 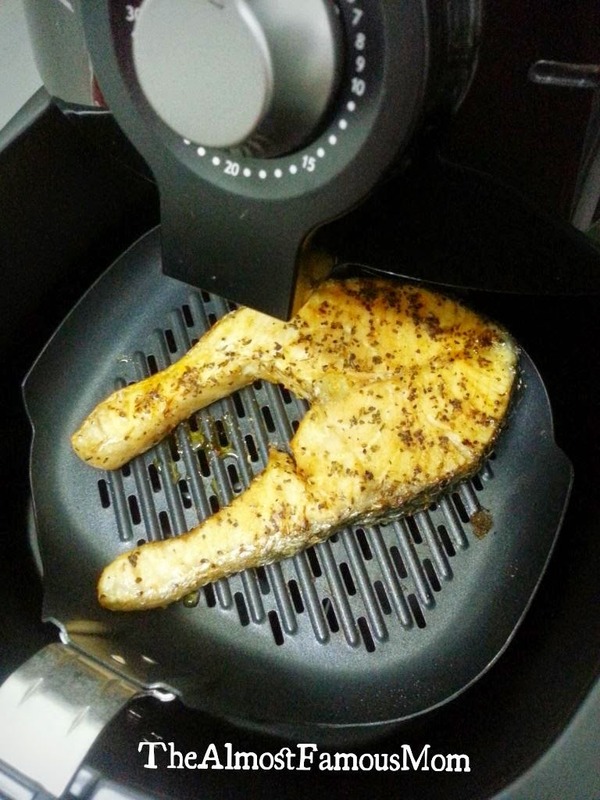 Preheat the AirFryer at 200°C. Put the salmon steaks on the grill pan and set timer for 8 minutes. Flip over halfway. Grill the salmon until the timer rings. Preheat the AirFryer at 200°C (omit this step if you just cooked the salmon as the AirFryer is already heated up). 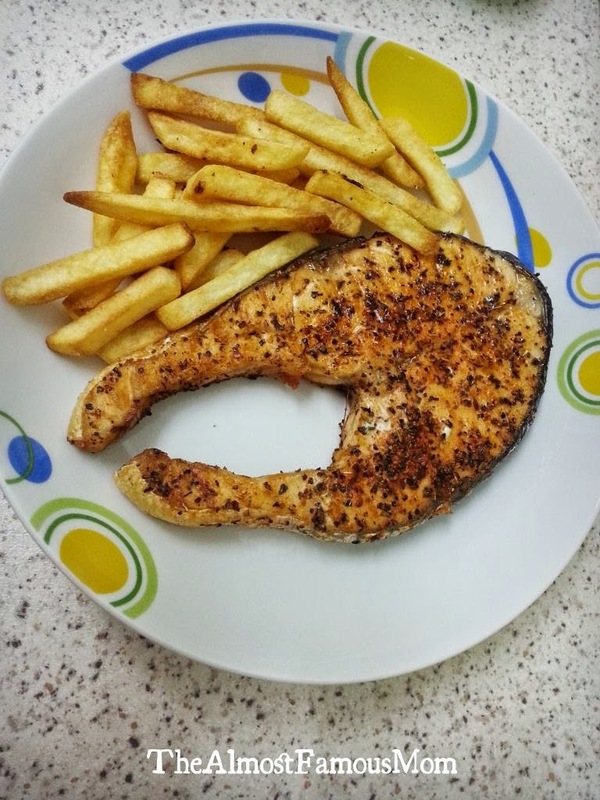 Spray the grill pan with cooking oil and place the fries on the grill pan. Set the timer for 12 minutes and halfway shake the fry. Fry until the timer rings and the fries are golden brown. Sprinkle with salt and serve.